I have wanted to sleep in a yurt for as long as I can remember. So when I first head Lakedale Resort would be adding yurts to their sleeping accommodations I was over the moon! Before having stayed in a yurt I imagined it would feel like camping in a larger tent. However, this is pretty much the farthest thing from how our experience was. 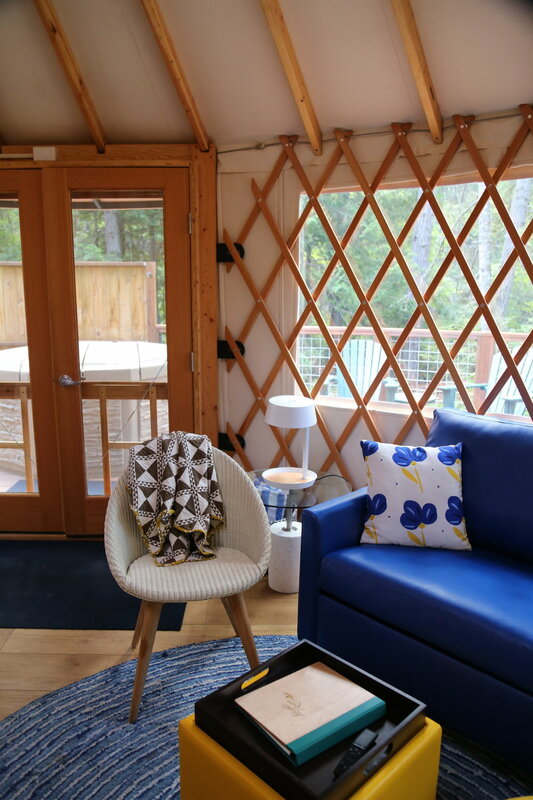 The yurts are spacious and bright with walls of windows and doors you can prop open to the large deck. In addition, to a generous living area, an eating area and large king sized bed they have fully stocked kitchenettes, bathrooms, hot tubs and barbecues. 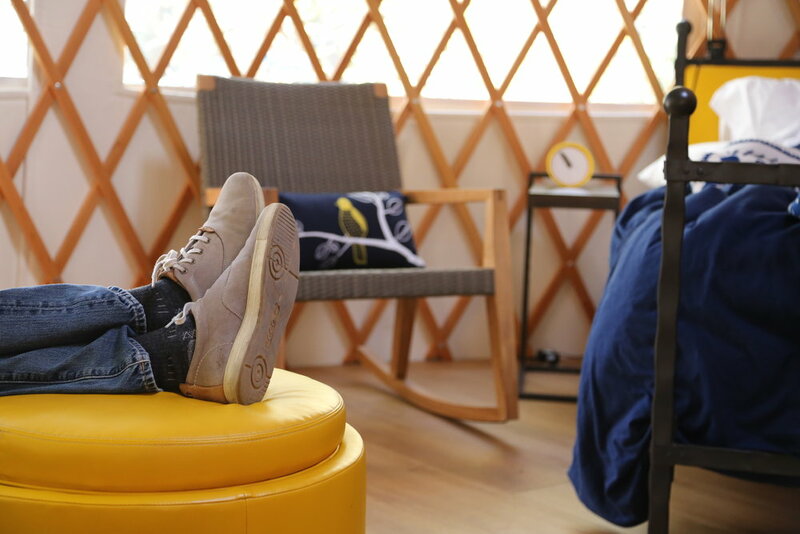 I would say staying in a yurt feels more like a spacious hotel room than a tent. Before long and without much effort you completely forget your walls are made of canvas. The yurt is large enough to comfortably sleeps four adults with a sleeper sofa and king sized bed, but it is also the perfect size for two. We enjoyed quiet mornings on our deck eating breakfast and reveling in the peace and quiet. At night we were able to soak in the hot tub while counting constellations and spotting shooting stars. One afternoon, we visited Westcott Bay Shellfish and returned with a large bag of oysters to barbecue for an early dinner. We enjoyed eating on the deck and commented how much we miss having a large backyard at home. On our last evening, we made s'mores on the back deck and realized how we had spent the majority of our time on the island at Lakedale Resort. Although we felt relaxed and rejuvenated we were a little hesitant to return to our busy life at home. Instead we were busy scheming up where we too could put a yurt on our own slice of heaven. This post was sponsored by Lakedale Resort. All opinions stated here are my own and I was under no obligation to write anything other than my personal experience. I will never write about anything I did not enjoy or find to be a valuable experience.